01 March 2016, at 12:00a.m. Lee Danks, in the 2nd of his new series reminds us that obesity is a complex and multifactorial condition, which requires the juggling of patient, dietary and environmental factors. DESPITE IMPROVED EDUCATION, SPECIALISED DIETS AND MEDIA ATTENTION, obesity continues to be a growing problem within the pet population with an estimated 20% considered to be clinically obese. Obesity is now viewed as an incurable chronic disease requiring long-term management and careful monitoring in order to re-establish and maintain a patient’s ideal body condition. Often forgetting that obesity is so complex and the condition is multifactorial, many digress to playing “the blame game”: the owner is to blame; the pet; the busy vet practitioner or even busier veterinary nurse... or is it commercial food companies? In our role as educators, communicating the importance of appropriate feeding is essential. It goes without saying that owners want the best for their pets in order to maintain a healthy and fulfilling relationship and this provides us with a nice starting block. Commencing the conversation about diet and exercise with regards to the pet’s individual needs should begin as early as possible, well before mismatched habits take hold or undesirable weight gain occurs. An ideal time to introduce the topics of both diet and weight management is during the primary vaccination course, or during puppy parties or kitten clubs. At this point we can take advantage of the owners’ enthusiasm and bring attention to normal, healthy weight gain as a product of growth. A full health consultation should include an assessment of the current weight, body condition, the individual’s energy requirements and diet. Within this conversation, the pet’s Maintenance Energy Requirement (MER) can be determined, taking into account the many factors which affect it. Breed, age, lifestyle and energy expenditure, reproductive status and even skin and coat condition can all affect how many calories should be delivered to the pet on a daily basis. An assessment of a pet’s energy requirements, coupled with a critique of what they are being fed, should be part of everyday wellness consultations. The use of weight assessment tools such as Body Condition Score charts can also instigate owner buy- in, particularly as scoring and weight measures can easily be done outside of the consultation room with adequate training and practice. This is also a good time to discuss diet – particularly the many types and formats of food available – and the correct amount for that pet, as manufacturers’ guidelines can be challenging to interpret, leading to overfeeding. When it comes to bespoke “MER” advice, we are all acutely aware that different breeds at different life stages have different nutritional needs, most dramatically demonstrated when comparing growing large and small breed dogs. Small dogs have a shorter phase of rapid growth and will therefore reach (their smaller) adult size in less time than larger breeds. It’s wise to recognise this and prevent an imbalance of calories, particularly in relation to providing appropriate micronutrients (calcium and phosphorus). Many studies attest to the increased risk of weight gain with neutering, so this should be highlighted to the owner well ahead of the procedure. If increases in body condition scores are detected by the owner, veterinarian or nurse, the decision to move to a clinical weight management diet should be made. A general rule of thumb is that weight gain in excess of 10-15% of ideal body weight necessitates a change. A clinical diet should be formulated to achieve safe weight loss and high levels of satiety. In all circumstances choosing an appropriate caloric load is our starting point. Skilled weight management nurses, many sophisticated computer programs and re ned feeding guidelines are brilliant at building the bridge between patient MERs and diet caloric density, indicated as Metabolisable Energy (ME). However, be aware that with standard diets, ME is often a difficult measure to find as, unlike in the US, UK pet food manufacturers are not required to state the ME on commercial diet labels. We instead rely on product literature, technical diet detailers, nutritional helplines or the online energy calculators and apps. The key to tackling the problem of pet obesity is, of course, effective communication with the owner. Our challenge is to juggle patient, environmental and dietary factors simultaneously. Nutritional management should remain consistent throughout the pet’s life, requiring monitoring by the owner and veterinary team. The role of exercise, environmental stimulation and conscientious feeding practices should be made clear to the owner. Obesity is a multifactorial condition and in nearly all cases, the blame cannot be assigned to a single cause. Prevention is of course best, and these key conversations with the owner must begin early to dispel myths, instil good habits and lay a healthy foundation for the pet’s future. Chan, D. (2014) The epidemic of pet obesity – are vets to blame? London Vet Show Proceedings, pp42-43. Dzanis, D. (2015) Does your pet product label comply with the new AAFCO calorie statement regulations? 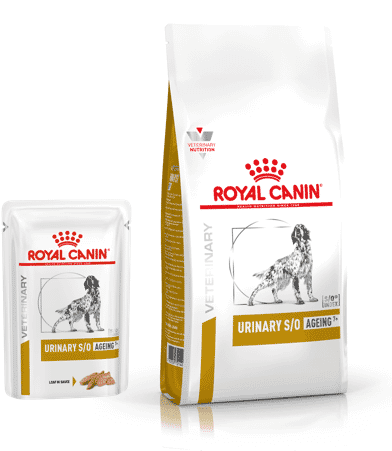 Available online from: http://www.petfoodindustry. com/articles/5182-does-your-pet- product-label-comply-with-the-new- aafco-calorie-statement-regulations [accessed 05/02/16]. Flynn, M., Hardie, E. and Amstrong, P. (1996) Effect of ovariohysterectomy on maintenance energy requirement of cats. Journal of the American Veterinary Medical Association 209 (9): 1,572-1,581. Hawthorne, A., Booles, D., Nugent, P., Gettinby, G. and Wilkinson, J. (2004) Body-weight changes during growth in puppies of different breeds. The Journal of Nutrition 134 (s): 2,027- 2,030. Hoenig, M. and Ferguson, D. (2002) Effects of neutering on hormonal concentrations and energy requirements in male and female cats. American Journal of Veterinary Research 63 (5): 634-639. Jeusette, I., Detilleux, J., Cuvelier, C., Istasse, L., Diez, M. (2004) Ad libitum feeding following ovariectomy in female beagle dogs: effect on maintenance energy requirements and blood metabolites. Journal of Animal Physiology and Animal Nutrition (Berl) 88 (3-4): 117-121. Lefebvre, S., Mingyin, Yang M., Wang, M., Elliott, D., Buff, P. and Lund, E. (2013) Effect of age at gonadectomy on the probability of dogs becoming overweight. Journal of the American Veterinary Medical Association 243 (2): 236-243. Pet Food Manufacturers’ Association (2015) Adult Dog Calorie Calculator. Available online: http://www.pfma.org. uk/dog-calorie-calculator. 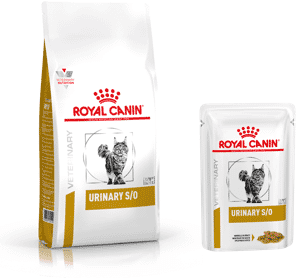 Royal Canin SAS (2014) Energy Calculator (Cat and Dog). Available online: https://itunes.apple.com/us/ app/energy-calculator-cat-and-dog/ id917317961?mt=8. www.wsava.org. 2012. Nutrition toolkit. Available at: http://www.wsava. org/nutrition-toolkit. [Accessed 08 February 16].